VT Technology Blog: Windows 8.1 RTM / Windows Server 2012 R2 RTM available via MSDN and TechNet subscriptions now. 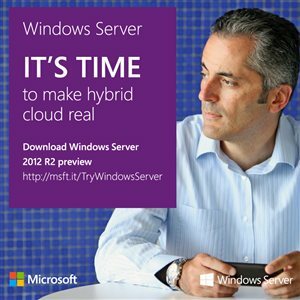 Windows 8.1 RTM / Windows Server 2012 R2 RTM available via MSDN and TechNet subscriptions now. Starting Sept. 9, Microsoft is extending availability of the current Windows 8.1, Windows 8.1 Pro and Windows Server 2012 R2 release to manufacturing (RTM) builds to the developer and IT professional communities via MSDN and TechNet subscriptions. The Windows 8.1 RTM Enterprise edition will be available through MSDN and TechNet for businesses later this month.